In a few weeks, we'll be driving south to Paonia, Colorado, for a 4-day weekend getaway, and I'm so excited to breathe in the warm, fragrant air that's heavy with the scent of wine, stone fruits, and lavender. 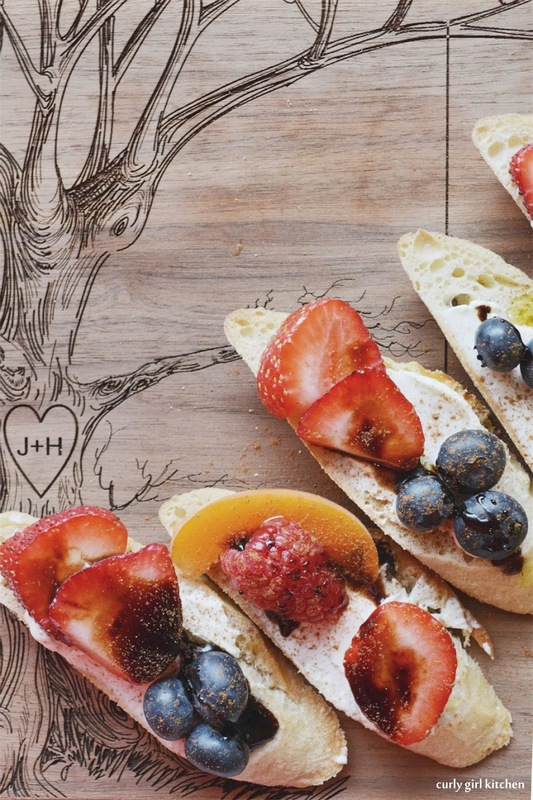 Last summer, we stopped at a place in Palisade that offers tastings of specialty balsamic vinegars and olive oils - really the best you've ever tasted. We brought home a few bottles, and are down to the last dribbles of a blood orange olive oil and espresso balsamic vinegar (one of my favorites of theirs is a fig balsamic, although we already finished that one), which I use sparingly to try to make them last until we can get more. 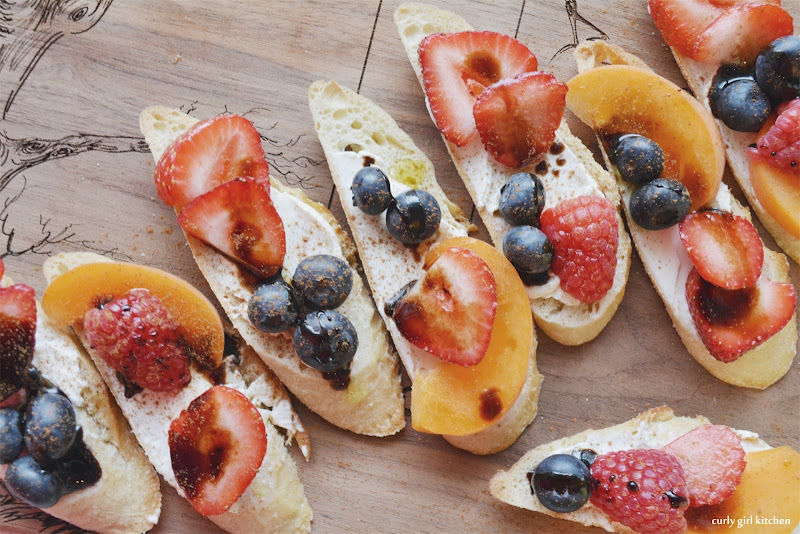 Spread each toasted piece of bread with cream cheese and top with the sliced fruit. Lightly drizzle with the oil and vinegar and dust with a little cinnamon. Serve immediately.